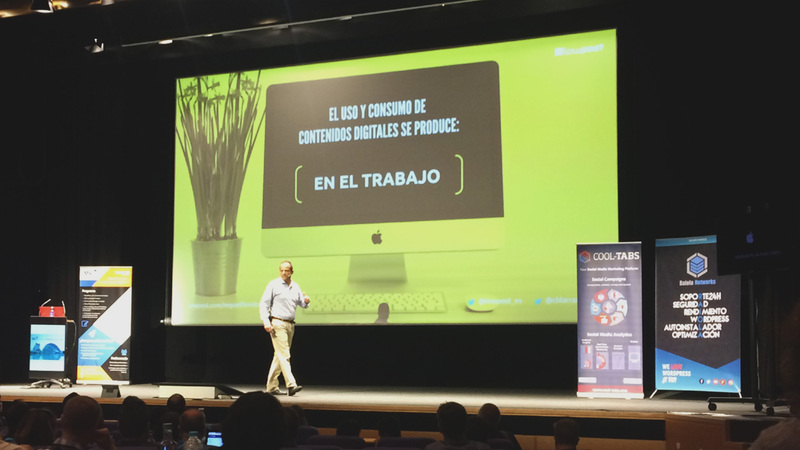 On the 30th of September the Social Media and Digital Marketing event took place at the Palacio de Congresos in Valencia. The event was put on by the local school of marketing and web, the host was Miguel Florido Robledo the director of the school. Lots of people gave up their precious Saturday to attend the whole day event and it was well worth the investment of time and money. When getting coffee I spoke to several interesting people who were attending for; fashion, their family business and their careers – a whole host of reasons. This encapsulated the spirit and schedule of the event as the speakers were passionate about their involvement and each offered something different to the audience. This article isn’t a run down of all the speakers points, that would be many thousands of words, and although no doubt interesting, I doubt many people would take the time to read it. Instead I want to use this article to share some the top 5 marketing, SEO and SEM related tools so you, as like those who attended, can help yourself improve your marketing and related business goals. Google Search Console: https://www.google.com/webmasters/tools/home – This is an obvious place to start but can’t be ignored. I must included this, if this list is to have any credibility. ScreenFrog: https://www.screamingfrog.co.uk – This tool was mentioned often during several speaker presentations as it’s a great website spidering tool. ahrefs: https://ahrefs.com – This is a solid SEO checker and a great back link reviewing / testing tool. SEOMOZ: https://moz.com – This is a well known tool, a pillar of the SEO family, that shouldn’t be forgotten when building and working to improve your marketing across search and social. Finally, as Google takes loading speed into consideration and with websites and social media being full of images Imagify: https://imagify.io was shown to be the image optimisation of tool of choice. I have since used this tool and it’s really effective in working with a WordPress site and doing the business in the media folder to reduce the size of images. It does want its money and only a specific amount of images will be processed for free. But if site optimisation is important this is well worth the cost. Overall these tools should be booked marked and become “go to” tools for your marketing mix. Please get in touch if their use is beyond your understanding, but their rewards are desired, and we can discuss how we can put them to work for you and your business.